One of the most treasured Urban League affiliates in the history of one of the nations oldest civil rights organizations, The Los Angeles Urban League (LAUL) will soon name Nolan V. Rollins as its new president. Rollins has a deep-rooted history in the Urban League, having served the organization in a variety of capacities, including most recently as president & CEO of Urban league of Greater New Orleans. He will replace Blair Taylor, who after seven years as president resigned in July 2012 to accept a global executive position for Starbucks in Seattle, Washington. The LAUL is among the affiliates in 100 U.S. cities for the Urban League, which is 102 years old and considered one of the nation's leading civil rights organizations. Rollins will assume an LAUL staff of over 300 and a budget in excess of $25 million; the 90-year-old Los Angeles Urban League is one of America's largest civil rights entities. 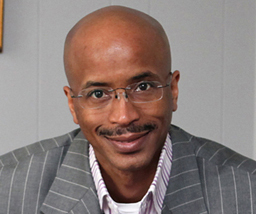 Rollins has held positions such as senior vice president of economic and community development for the Baltimore affiliate where he successfully implemented all economic and community development strategies. He worked with corporations and foundations to support financial empowerment programs, and was instrumental in fostering business partnerships to increase local minority business. He also drafted bond bills for capital build-outs and rehabilitation, and oversaw $2.5 billion for economic and inclusion opportunities. From 2001-2004, Rollins served on the Board of Directors of the Baltimore affiliate while concurrently serving as the eastern region vice president and treasurer of the National Urban League Young Professionals (NULYP). He was a founder of NULYP and served as its first president. Rollins currently represents NULYP on the National Urban League Board of Trustees, where he serves on the Program, Affiliate Services and Strategic Planning committees. Rollins earned his Bachelor of Science degree in Public Admini­stration from Virginia State Univer­sity and was honored with the Community Service Award and the Outstanding Public Administrators Award. He earned his Master of Arts degree in Legal Ethics and Historical Studies from the University of Baltimore, and received his Juris Doctor degree from Florida Coastal School of Law. During law school, Rollins was associate justice of the Honor Court, a member of the Judicial Review Board and a Student Bar Association representative. A native of Baltimore, Rollins is accompanied to New Orleans by his wife, attorney and legislative expert Michelle Burks-Rollins, and their son, Mason. He was active on the boards and committees of several civic, cultural and philanthropic organizations in­cluding the Walters Art Museum’s African American Steering Com­mittee, One World Cultural Arts Center Board of Directors, Alpha Phi Alpha Fraternity Inc., Henry Sim­mons Lodge #379. While in New Orleans during Hurricane Katrina, Rollins urged for more Black inclusion during the recovery period. “(Blacks) don't see themselves as being a part of the recovery economy and getting real opportunity," Rollins said then in 2005. A formal announcement of Rollins appointment will be soon confirmed by both the National Urban League and the LAUL.